The Manila Observatory is hosting a series of seminars as part of its sesquicentennial celebrations. 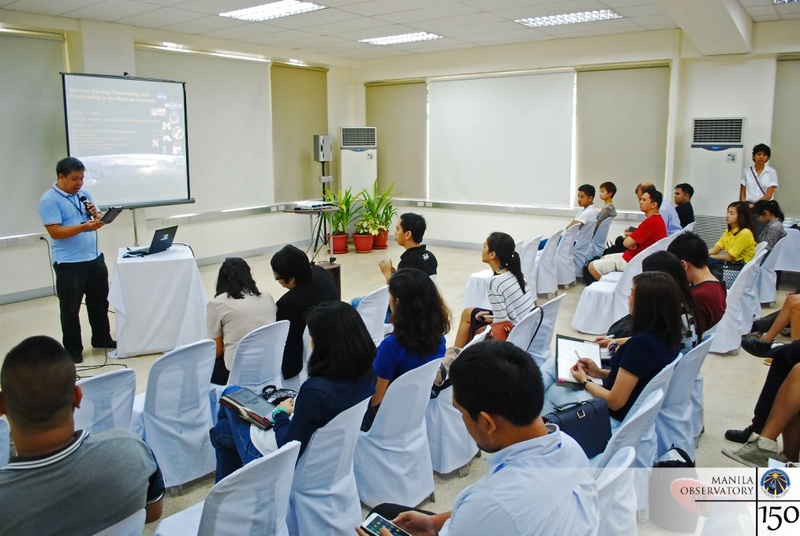 The first series, centered on the theme “Remote Sensing and Ground-based Measurements”, commenced with a talk by Dr. Jeffrey S. Reid last Monday, August 10, at the newly renovated Heyden Hall. 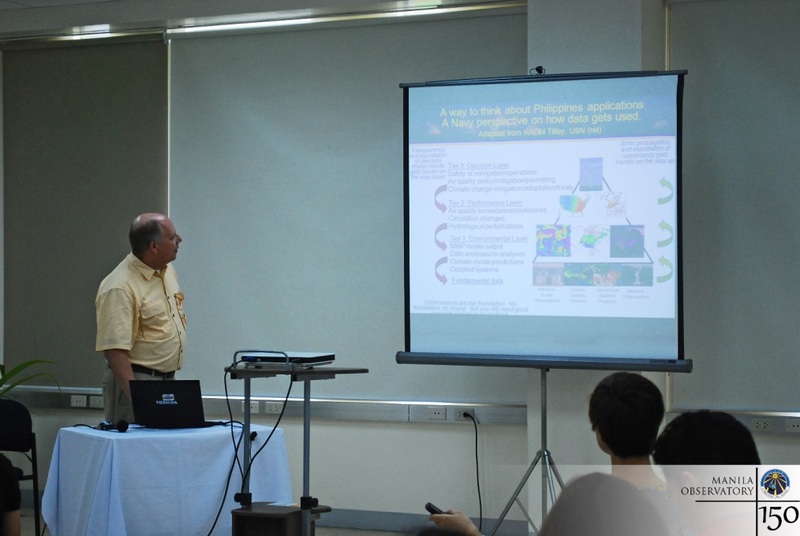 Dr. Reid, an aerosol scientist and meteorologist in the US Naval Research Laboratory, is also the mission scientist of the Seven Southeast Asian Studies (7SEAS)—a program aimed at the characterization of aerosol-meteorology interactions in the Southeast Asian region. For his talk, Reid discussed the challenges being faced in the study of aerosols in the Maritime Continent, particularly in terms of the observability and predictability of biomass burning vis-à-vis its effects on the Earth System. The dilemma is grounded on the reality of climate change—that is, how the multi-faceted phenomenon is in itself being aggravated by the outcomes of the very changes in the composition of the Earth caused by it. Given this, Reid reiterated the need for an interdisciplinary approach in translating accumulated scientific data to concrete predictions, upon which the formation of various environmental, social, and economic policies can be based. The seminar was held at the newly renovated Heyden Hall of the Observatory. The hall is named after Fr. Francis J. Heyden S.J., who was part of the Observatory as lead astronomer during the pre-war period and as a proponent in solar observations upon his return from the United States in the 1970s. Aside from the seminar series, the Observatory is also presenting a three-part exhibition featuring its years of scientific excellence as guided by the Ignatian spirit of community service. A series of activities including an international conference will also be held from September 21 to 26 and will serve as the highlight of the celebrations for its 150th anniversary. More photos of the event are available here.